Space rock or Alien Ship ? 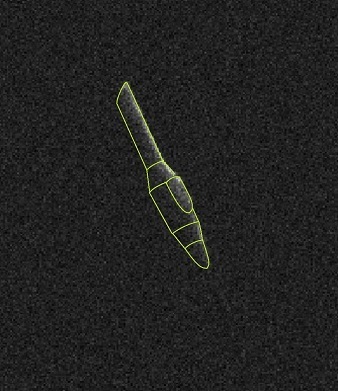 Whats up with the object named Oumuamua? NASA has detected the FIRST EVER object from outside our solar-system coming from the milky way galaxy. It was spotted (they say) on Oct 19 2017, by the PANSTARRS telescope in Hawaii which is an infrared survey of more than 700,000 asteroids in our galaxy. * Or 2017-10-14 according to nasa, The object passed the sun in September 2017 and just shot past earth in October at a distance of .0959AU(wikipedia) which is about 23.9 times the lunar distance. It has a length of about 429 Meters (about 1374 feet) BUT it's about 13.68 times longer than it is wide! natural object with such a long or thin shape. to about 3 to 1 in length. So it's very unlikely that it occurred naturally. And they named it 'Oumuamua' which nobody knows how to pronounce. I may be the first person to admit getting photons from the galaxy. But this paper analyzes what we know about this thing. and the 13.6 to 1 aspect ratio. I worked out the brightness/size calculations. The smallest it can be would be a penny shape. But here are both long and flat possibilities. It has the shape of a pencil or a peice of slate. But at 1500 times larger its mass would be more than 3 Billion times as much yet its strength would only be 2 million times as much. (cubed vs squared) So a planetary collision would be like chipping a piece of slate with a stick of dynamite. It would pulverize it. We don't know what could produce such a thing. I found the color formula. So the color changed just a shade. But it's pretty much the same as my first approximation. A new numeric fit gives RGB(206, 134, 144) with 80% saturation. That also matches a shade of anodized titanium. And this gives the current conservative estimate of size. If it were darker, then it must be larger to emit that much light. For the mathematically inclined the measured values for color are below. and not 2,162 miles wide like the moon. The -2.5 scales it to the old method of visual sighting. easy to write down without the minus sign. multiply the 1374 feet by .95/.52 making it 2,510 feet. About a half mile long. titanium or not. They just say.. "rocky or metal". Uh yea. and and blue all alone. and With Green And Blue togeather. and With green all alone and black again below. Who knows? as weighted components (i.e you wouldn't want to make ten samples of yellow and only one of red blue and green. So v, y and o are scaled accordingly. Its pretty similar at 95% saturation. It looks lighter here because we used a dark shade above. and this color appears the same as above. The colors represent portions of the spectrum. violet blue green orange red near-infra-red and longer infra-red. for the 'magnitude of brightness' and some are inverted. So this page-color is pretty accurate now. A NASA guy tells me that this is common for stuff floating in space, to turn red because it gets micro sandblasted and absorbs colors like yellow and green for some reason. But I've never seen that, so it could be he other way around as far as I know. The above Spectral chart shows clear iridescence in the 419 band. This is repeated as it has highly variable reflectance at 839 and and 1258. These appear to be multiples of the pitting caused by gamma particles over hundreds of thousands of years. The chart also gives the temperature. The highest band of output is about 1500nm. For most objects the highest band gives the temperature because the spectral curve elongates when the object is warm. Things glow in longer frequencies when hotter. This is covered below. to know what the "object" is made of. A month after passing earth, it's about 100 Million miles away. be able to resolve a 20 pixel image. rotating object in differing lighting conditions as it rotates. 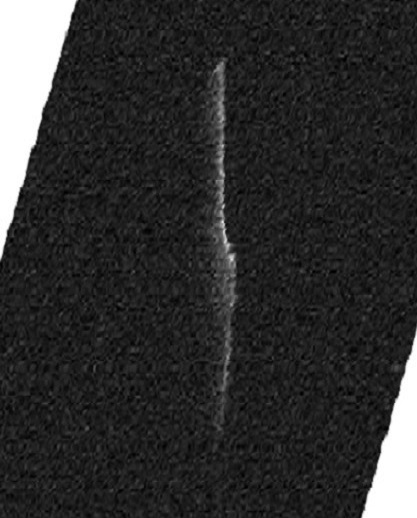 University of Hawaii released a 'yellow band' spectrum image. From this they deduce the 10 to 1 length. Oddy, nobody ever mentions that it COULD BE round. So someone apparently knows its its the shape of a couple railroad cars end to end. But 'apparently' has the 'proportions' of a quarter or a penny. of a pen or a frizby. Its all 3 to 1 at most. A search revealed, it might be this object(which is attributed to astroid called SD220). That image LOOKS AS IF IT'S THE "10 to 1" OBJECT! Apparently, no other asteroids are that long. So it's unclear if this is actually the image. Other images of sd220 look like a 'fat arrowhead' and not a sharp pencil. So it looks like a coverup. They dont even match. I straightened this image up a bit and got this. And that looks a lot like this. So, is that the one from outside our solar system? Well it appears to have come into our solar-system a few years ago and to have passed nearest the sun on September 9th 2017. (inside the orbit of mercury) and Flew past us on Oct, 26 2017. And was re-designated from comet to Asteroid as A/2017U1. And then to A1/2017U1. My thumbnail calculation puts it at its closest on Sept 5th though. (This is according to the wiki angle data of 241.7 which is simply 241.7(deg)*365.2563(days)/360(deg)=245.22(days) but the earth is closest to the sun about jan 3. so that's 3 days later than sept 2 (give or take a leap year). Investigating the object, I estimated its average temperature as it passed the sun. So mercury is 1.911 times as hot as the moon. 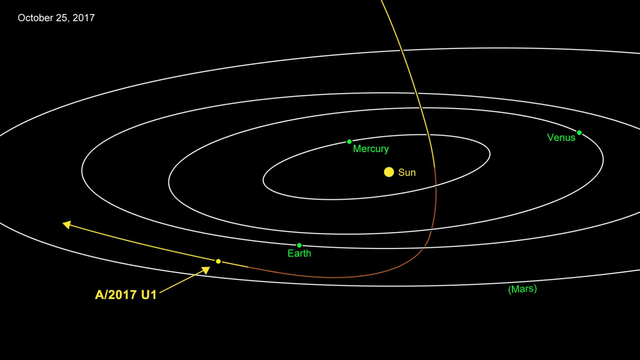 So rotating Oumuamua should have been about 609.25k (336.1c) or 637f. Thats pretty hot but it would only need a couple feet of aerogel insulation to stay comfortable inside. If it is powered then it may be from gama radiation in space. A hundred particles per second collide with every square centimeter. And they are at 10 GigaVolts. So there is about 25 Watts of energy. About 219 Iphones. Perhaps the brain of the craft. Maybe 1000 times more efficient. So one good brain. However a simple fusion technology is a more likley answer for a living comunity with little need for large spaces. That woud provide massive amounts of energy. But how much energy do you need as super cold temperatures? An intermediate amount of energy is available at a solar crossing. Thats about 13,740 gallons of oil per hour. It took about a month to cross the sun. So thats about 9,892,800 gallons of oil equivalent. A BTU is about .2931 watt hours. Now that has to last the next half million years. So it would only have about 99 watts of power all the time. Microbots to keep it in repair would need some of that energy. Maybe they use the extra 73 watts that the brain(s) don't use. It's still gathering energy though. So it might be ten times that or more. So how did everybody miss it until now? And why is there no established picture? 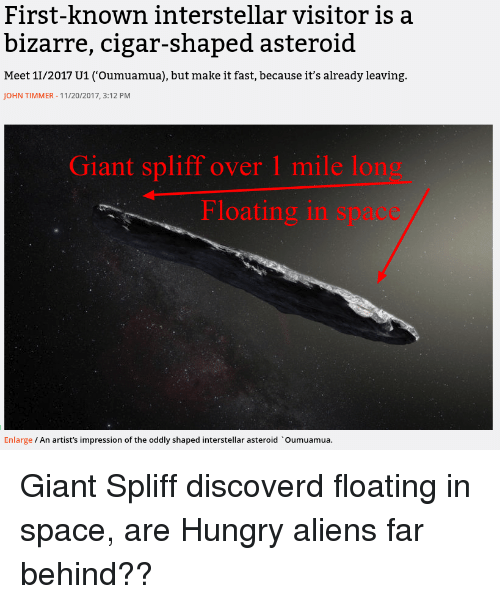 Is there an Oumuamua coverup? I found no other reported temperature -which is odd. But which one is from out there beyond pluto? called a comet because it was brightly colored and had a highly eliptical path. This poses another mixup.. how dark is it? .50%, .10%, 90% ? And how can they know its size if they dont know how dark it actually is? It could be really dark and ten times bigger. Or really bright white and smallish. Or middle grey and about the size of starship enterprize. infra-red and optical telescopes etc.. If the ship is shiney then it would leave a 36 second spike in the intensity. Nobody is tlaking about anything usefull. I feel the planet is going daft. We simply dont know what it is. So coverup is the logical answer. "we dont know nothing, do we boss?" or a "higher technology". So it's all good. or missing mass at the locus of the hyperbola. But Vega was about 50 degrees distant back then..
One source indicated it radiated from U=11.3, V=-22.3 and w=-7.6. It appears to be headded toward 23:51'(hrs?) by 24:45'(deg?). may have come from a star called TYC-4742.1021. But I am gathering gather my sources. (points in the sky for comming and going) differing by "66 degrees"
out to get a nice parallax view of the galaxy. Interestingly they now say its tumbling. But thats what it woudl do if it were mapping the sky. This woudl make sense as a protector craft, mapping future colissions for us. perturb the solar system just right to cause a metor impact. But they are more likley checking to avoid causing one. Any perturbation of a stable system like ours is likley to be dangerous. Things get a certain way and its often good to keep them that way. Talking over billions of years here. they might be headed to wherever their home now is. would preclude their need to return home. They should be able to scoop up a few grams of hydrogen between stars. And all the elements needed for life. So theres no power requirement. And they would most likely be very self sufficient. The ship would be their planet. Just passing by. miles per light-year with just a star chart, gyro and good reckoning. or billions of years. You need to steer clear of stars. tides of the planets. This would take centuries or longer. But they are in no hurry if they left a star a million years ago. In my mind this is about equal to the gravity ejecta. tide lifting a plate of rock into extra solar orbit. Some tidal simulations should be conducted but its got to be rare. And wow, the first thing we see is a tidal rock? If a shinny metal object flies past your house, its probably a human vessel. If not then its a space ship. Gravity lifted rocks are an unprooven third choice. We know space ships exist because we make them too. or a 1/4 mile hotdog got accidentally hurlled into space. are fantastically intense. Hurled to many times the speed of sound instantly. A super long brick rarely survives slow geologic upheaval. If it were natural we shold see these things in our own solarsystem. with a gravity pull during a near miss collision. common and we never had such a planetary collision. This theory is dependent on it being some kind of rock. But there is almost no data to support its composition. If it's natural then its from the last 14.6 Billion years (depending on your cosmology). If its not natural then its from the last 5 or 10 billion years (give or take). It could have passed thousands of stars like ours. We know nothiing. But we can know more. The thing can be modeled and pictured. If anyonw is taking data on a constant basis. Its weight and size and color can be known. I can tell you how this is done on computor. But it would take a team to compute. So the question is who are they? /it maybe its luxuriantly blue in their starsystem. Note we see the sun as "white" but they could be from a pink or blue star. (or maybe both) The color is simple. But simplicity is a hallmark of advanced technology. Unless they have 'hyper drive' (whatever that might be) then they are very old or it may have to be robots living on it with some kind of fusion power, perhaps caring for a massive time-capsule. Maybe a Space Museum. Or Millions of virtual-reality lives. Though, it looks like a giant telescope. What do you want to do with all the technology and time in the world? Save another planet? See the universe? Is it just a passing space friend who wishes not to disturb a whole planet with any groundbreaking discovery of exo-inteligence? If you were passing matagasgar in a ship, would you hail them on radio knowing you cannot stop and dont speak the language? We dont seem to know much. The news media didn't help when everyone began making lots of "artist conceptions" like this doobie-shaped drawing. We dont even know if its long --do we? Maybe its the shape (and flame birnished color) of a penny. too bad its mooving so fast. It would be worth a lot. It all looks like the overt propaganda that you'd expect if a space ship went past the sun and government didn't feel like talking about it. 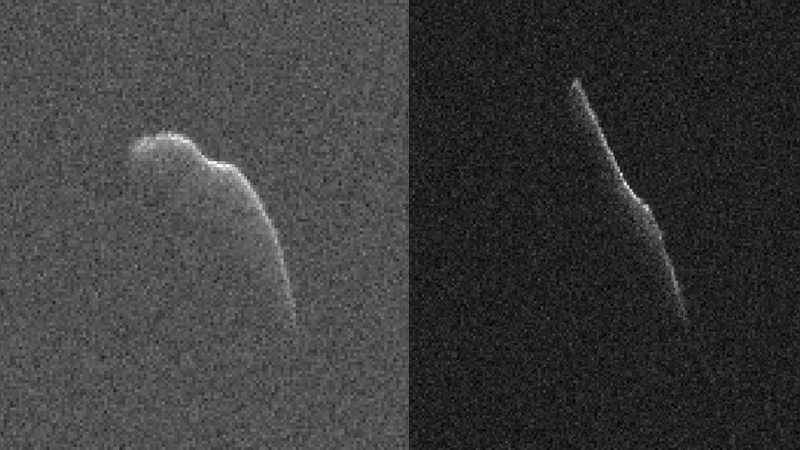 The 1300 foot wiener "thing" may be from a nova blast which ripped away the outer shell of asteroid leaving a really long unnatural shape. Another scenerio is that passing many stars left it distorted. Possible melting iron, nickle, coper, aluminum, titanium dripping to the ends of the slowly rotating object, surface tension keeping it togeather. But that dynamic scenerio does not seem to work for a stable object. It would eventually break apart, not get that long. We'd need to simulate it. The math is about 1 neuton/meter of force over the surface. Try spinning a giant blob of molten steel at 1 rotation per 7 or 8 hours? But I think its unstable. It could also be an ocean-liner hurled into space by a planetary collision millions of years ago. It could be a message to the future from a long ago civilization. Lets hope we can find out. Maybe it's just a really really old civilization who's watching. Why launch a "long red monolith"? Maybe its just funny. Excentric martian billianre launches 200 thousand year prank? Hard to estimate the probability. It if is an intelligently created object, then I hope our visitors from "out there" are happy and enjoying their mega engineering. Maybe the massive thing is a test to see if they could wipe us out. Or more likely just a friendly hello designed not to cause too much excitement -just enough to inspire the governments of the world to cooperate for post technological survival. Or to drop off harmless spores for life in case we didn't arrive. In any case, we appear to have missed the chance to catch it and see the hieroglyphics and video inside. Just guessing. If there's anyone 'on-Board' then they may be robotic. But there could be a sophisticated community in a smaller space. They'd have more room than a mars colony. It might be a dark rock that has a light rock stuck to it. But the lack of photos seems to indicate something more. The Simple truth is that 14 to 1 is really long. Longer than a Saturn V Rocket. It would have to be as flat as a penny, or long as a three inch drywall screw (or a pen) to be 13.5 to 1. 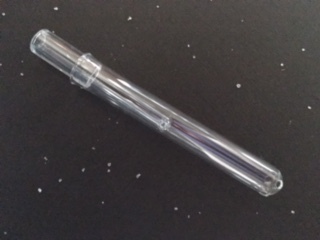 The Ubie vaporizer is 9 to 1 in length. Is it an Ubie from space!? If it's just a rock from God, then maybe it has the same function. To remind us that we need fair trade equality and him. (honesty and kindness) Could it be so simple? The fly-by of sd220 is scheduled at 2Pi times the lunar radius, a nice thought. But we don't know much about 1i/2017u1. Presumably careful control could slingshot a carved astroid across space with very little initial power. The giant totem would be visible but would need power to accurately hit earth. Similarlly, an advanced inteligence coulf perturb out solar system to prevent an astroid colission. Maybe they have. But either way it missed us. So I guess they could , but didn't. Thats nice. But why send a thing out into forever? It could be a colony of forever-travelers like our planned mars explorers. Why not just go beyond? Only a tiny amount of power should be needed to avoid hitting the next star. A magnettic field may suffice. It could be a botanical garden or a billion AI beings in a simulation. But there would be few resources to say hello with. They might not be able to stop, but would be able to steer -- something we can't do on earth. So they might be safer than we are, just by ricocheting around the stars. If we ever have AI people then they might like the idea of getting away from it all. But how did it form ? Maybe it is a message in a bottle. Just saying 'we Are here'. (Or were here.) A show of peace, or force, or just the desire to contact others in the future? I hope we determine its nature. Some suggest we could catch-up and get a look at it. And I think we should try. We don't know if there will be another chance.